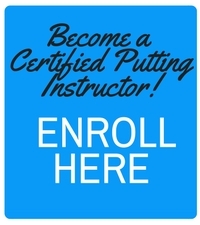 The Certified Putting Instructor Course comprises of 4 modules that should be completed. 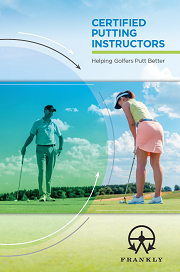 The online course is based around the understanding of the Six Degrees of Freedom in putting and is delivered through a combination of 40 high quality videos, text and assessment. It takes 6-8 hours of online learning to complete. CPI Students will be tested via an online assessment process throughout the course contributing to the final score for CPI certification. This testing will relate directly to videos and the course text. It will follow an “open book” format where the student may have the text available to them while taking the various multiple-choice quizzes. At the end of the CPI Course as part of the assessment there is an online evaluation of three golfers putting strokes, where the CPI Student will be asked to look at the videos of three golfers and respond on a worksheet with suggestions for improvement. Additionally, a final report should be submitted based on the experience of the CPI Student giving lessons to three golfers. The reports will be submitted via online worksheets and will be assessed by instructors with the object of determining if the CPI Students needs additional help. This report will not be part of the final assessment grade but it will be compulsory to submit it before the awarding of a CPI certificate. In the event that a CPI Student does not pass the course they may sign up for a second attempt to become certified by reviewing all the material. This second attempt will be available for a minimal retake fee fee but it must be completed within three months of the initial attempt to become certified. To be awarded the CPI Certificate, the CPI Student must achieve an overall score of 85% on the assessments.